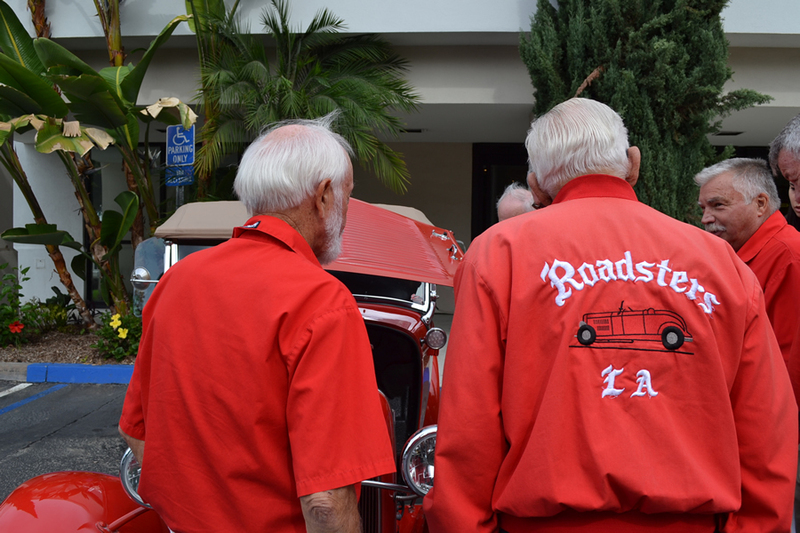 Jack Stewart is an icon of the Southern California car scene and has become more widely known in recent years with the publication of books like LA Roadsters, A Retrospective and The Jack Stewart Ford by author Rik Hoving. 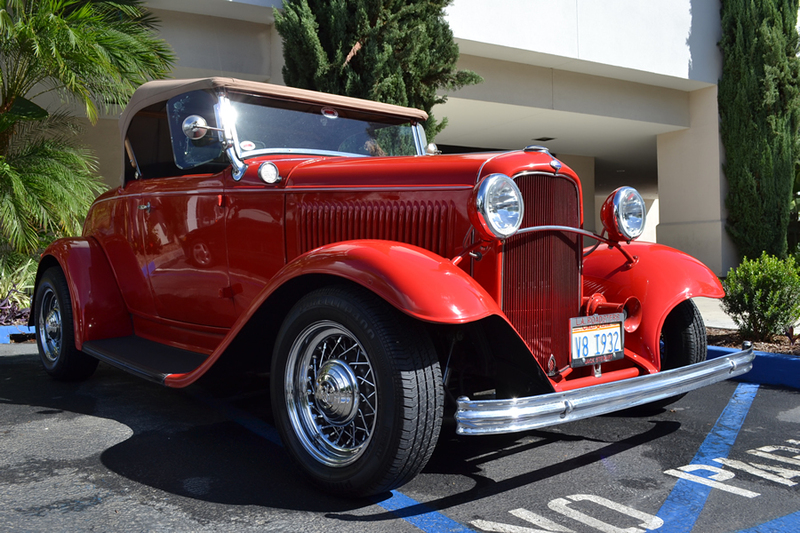 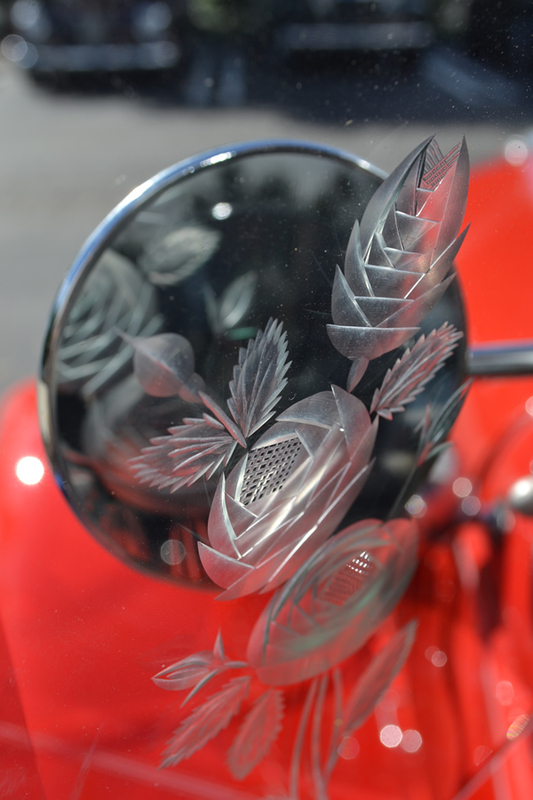 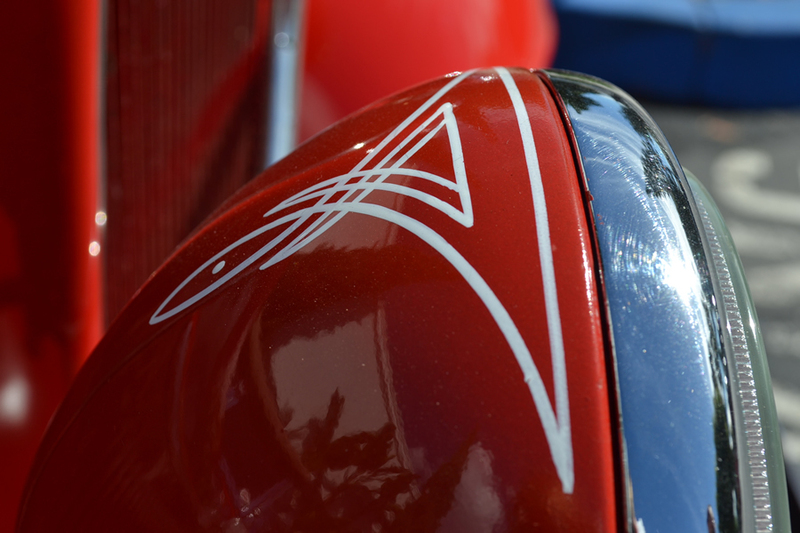 Jack is also known for his cars, particularly his 1932 Ford Roadster. 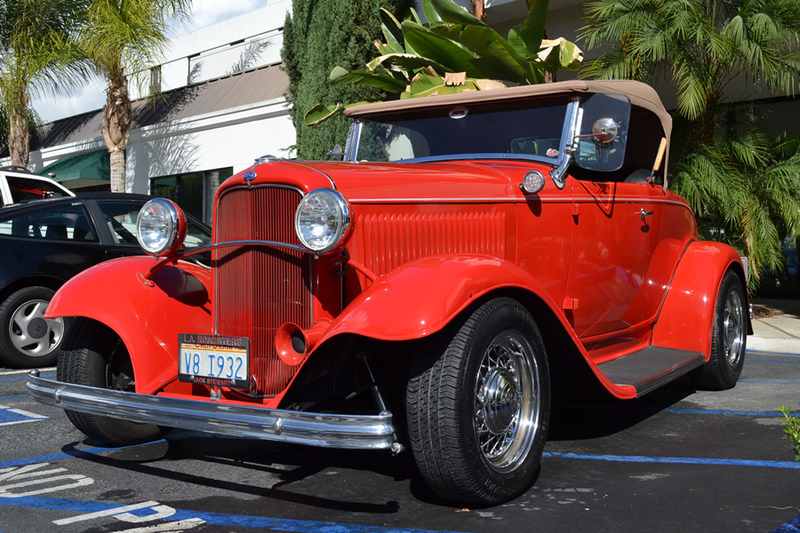 This full-fendered classic is fitting for a man that sold many a ’32 Ford part before he actually built this roadster in the early ’70s. 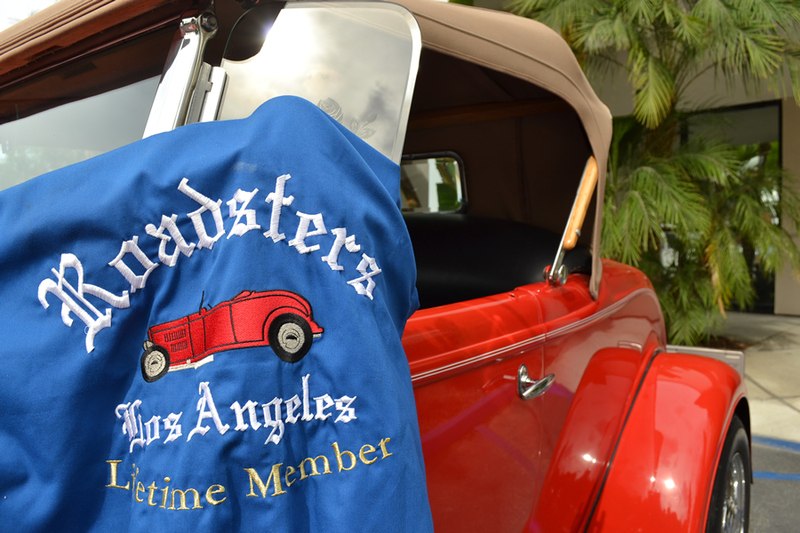 Jack would become a member of his beloved club, the LA Roadsters, in 1971, and would become a Lifetime Member in 2001. 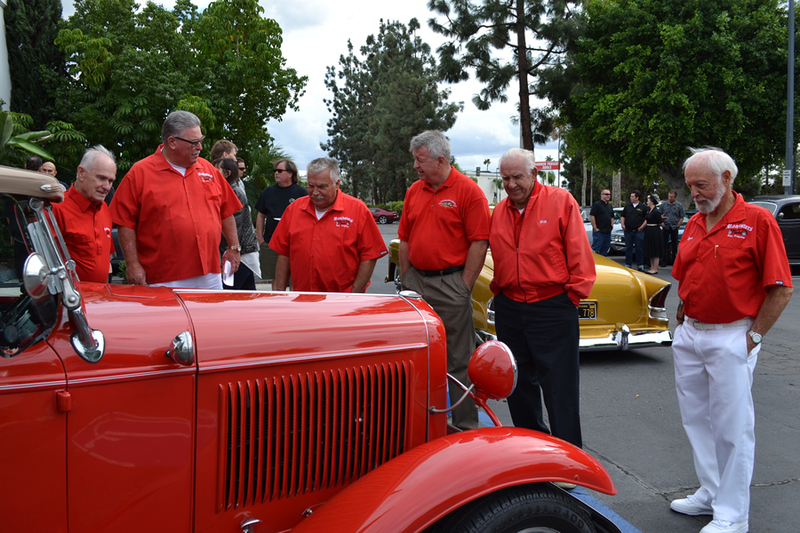 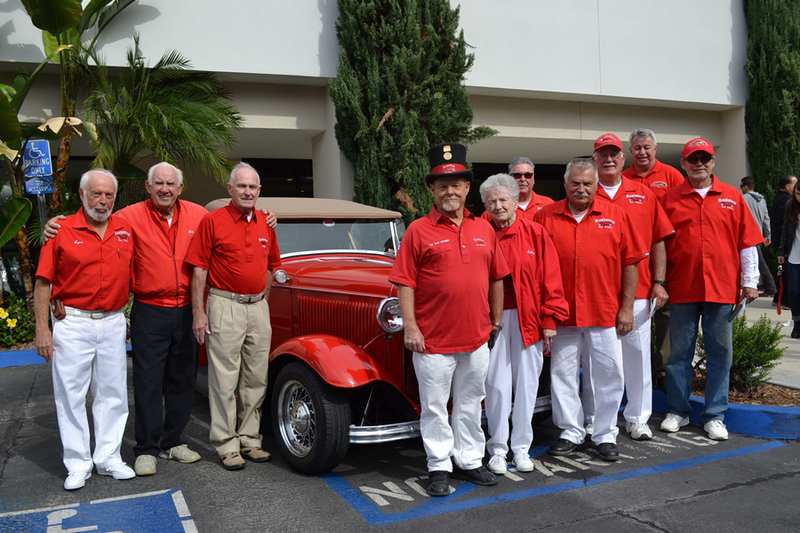 Over the years, he held many positions within the club, including President, and was a fixture at the annual LA Roadster Show. 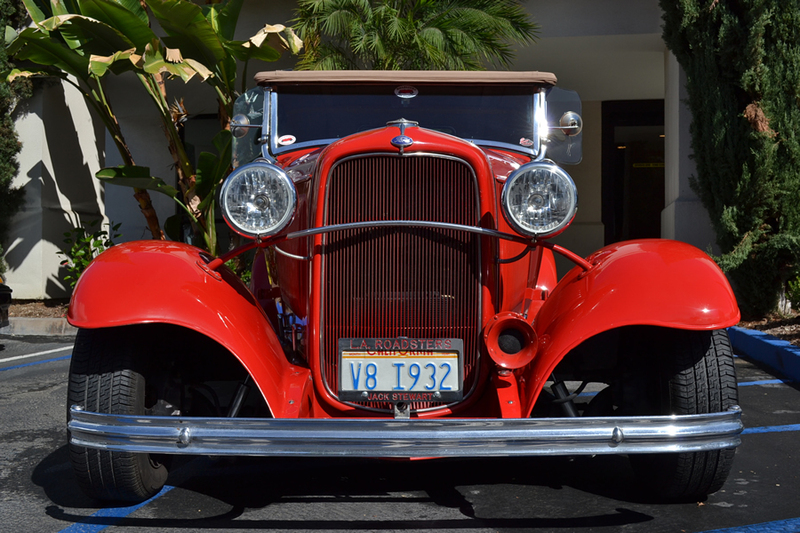 Jack’s roadster is an original all steel body, with a small block Chevy between the rails. 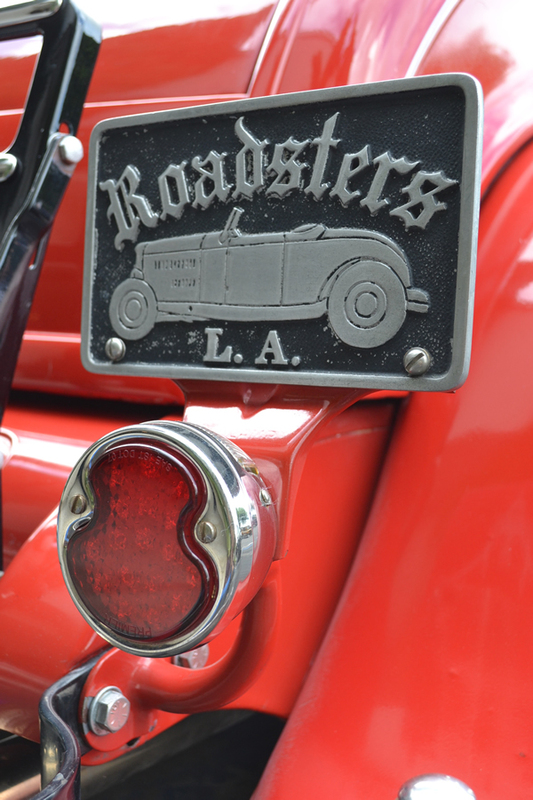 The roadster was recently converted to fuel injection, and the gauges were updated along with some other small details. 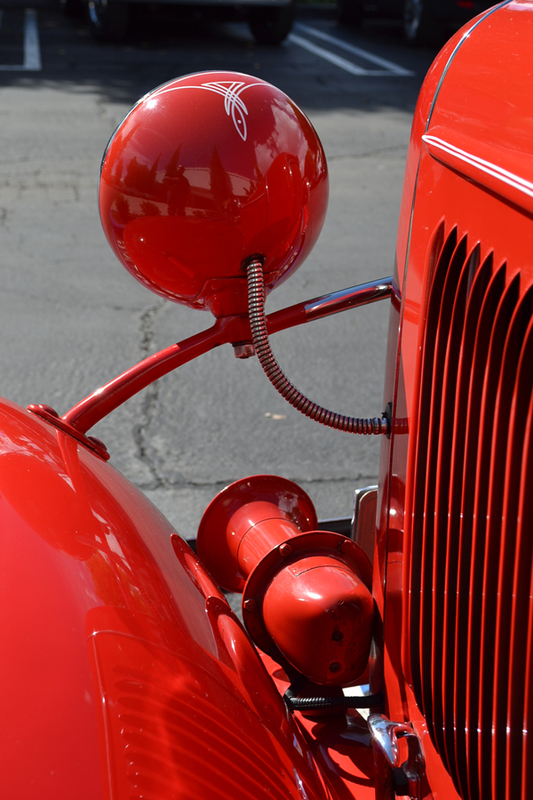 An interesting note, when this car was originally built, it was with a custom built 3-link rear suspension – an unusual touch for its time. 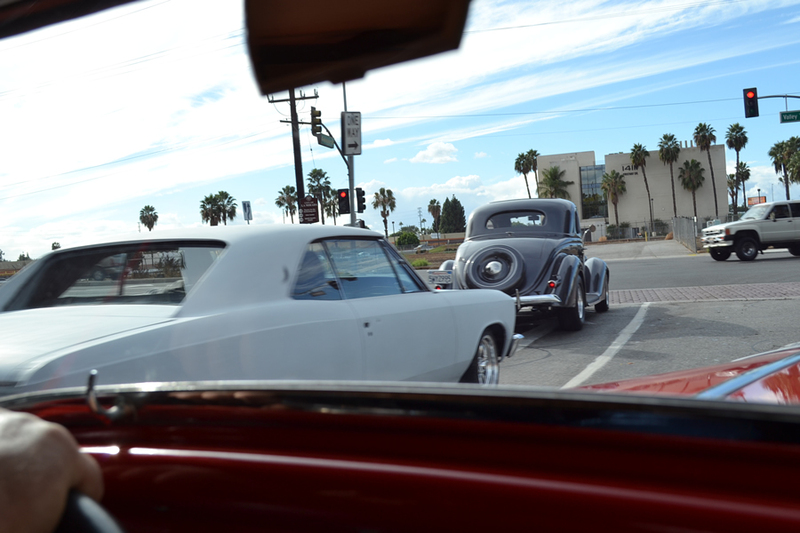 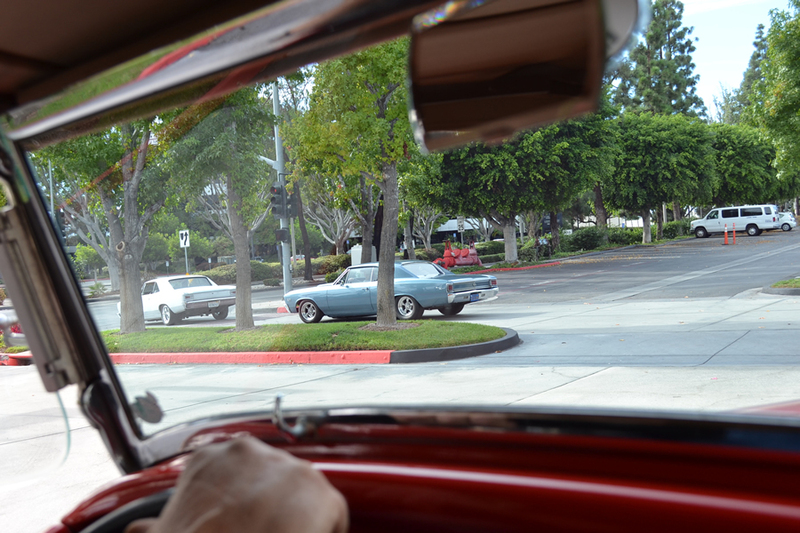 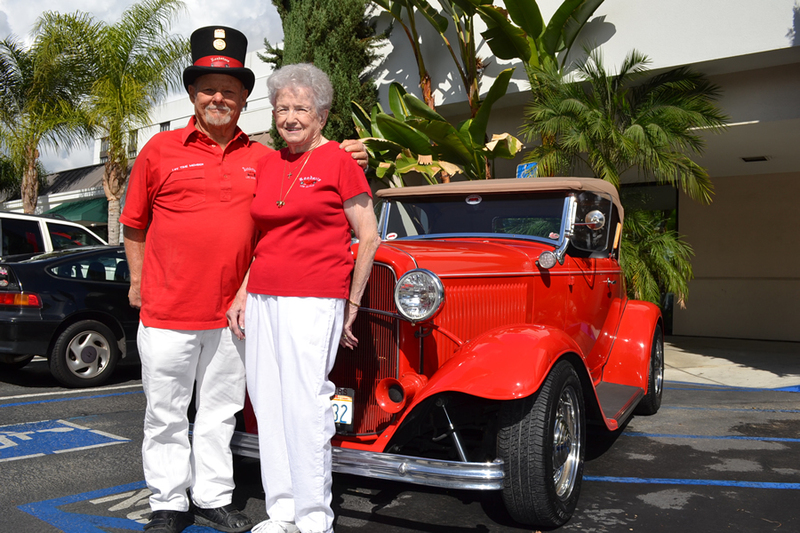 We were able to catch a few snaps of Jack’s best friend Bob Barnes and his wife, Sally, with his roadster. 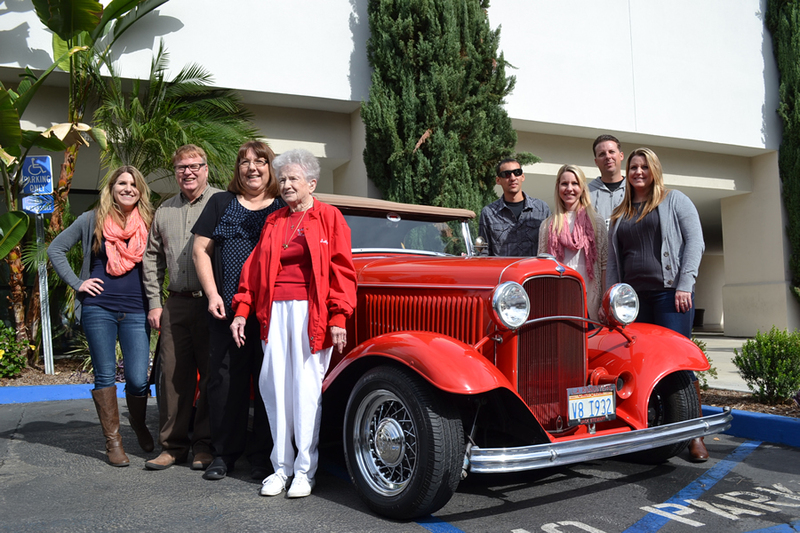 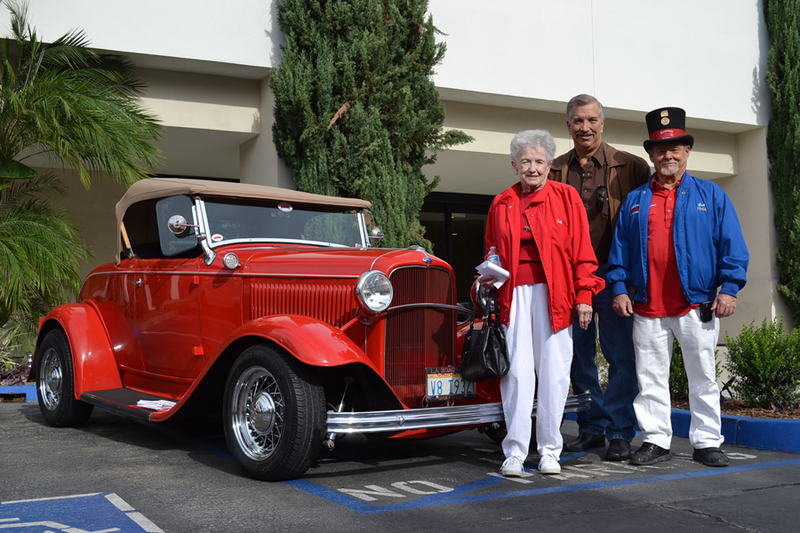 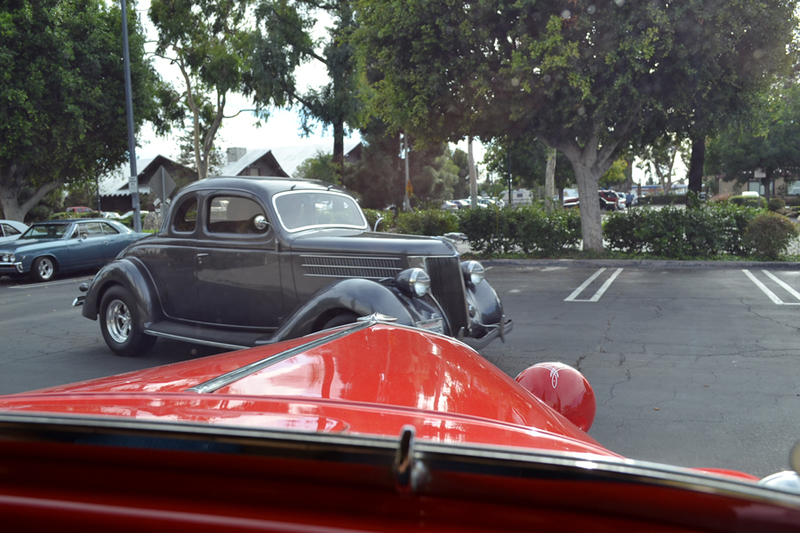 It was wonderful to see not only Sally and her family with the car, but also Jack’s buddies from the L.A. Roadsters as they visited with his vehicle and traded their best memories about Jack. 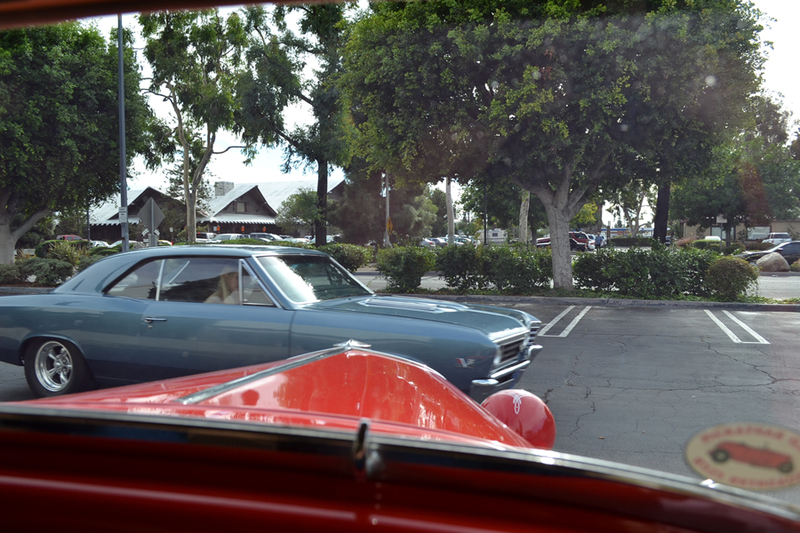 I was lucky enough to catch a ride in the roadster on its way back home. 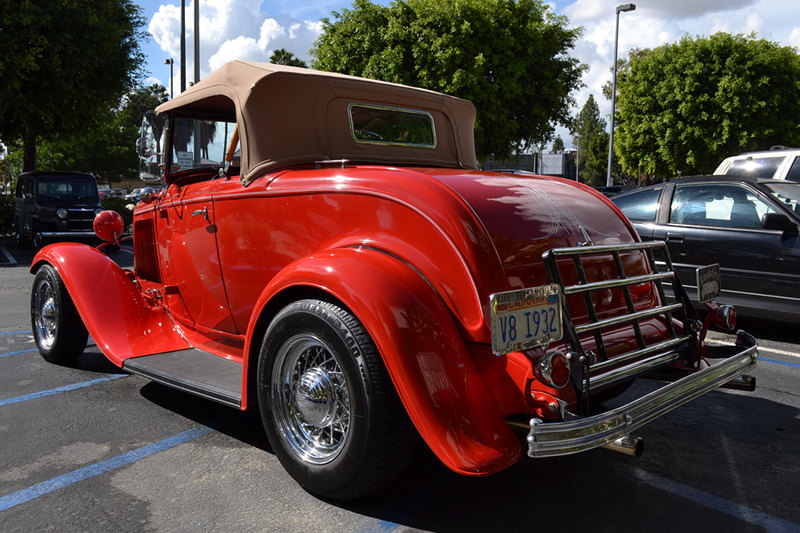 There’s nothing like riding in a roadster, particularly one like this – think of all the things this classic has seen (and who has ridden in it) over the years! 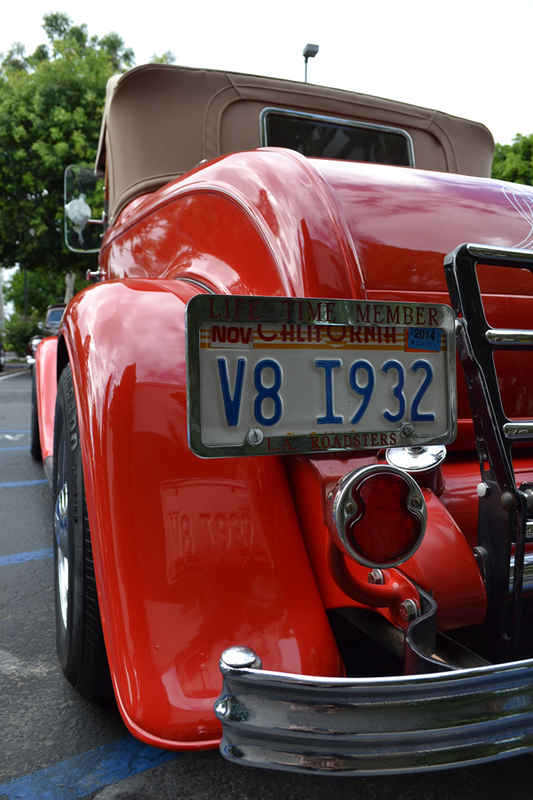 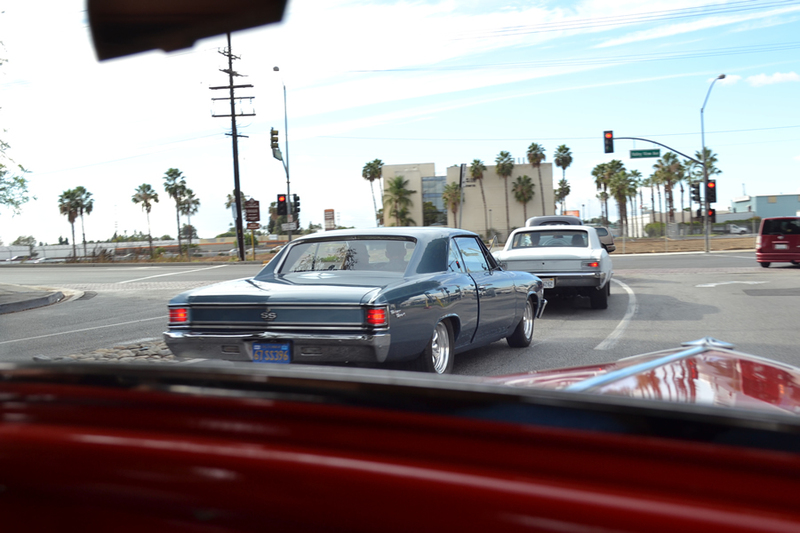 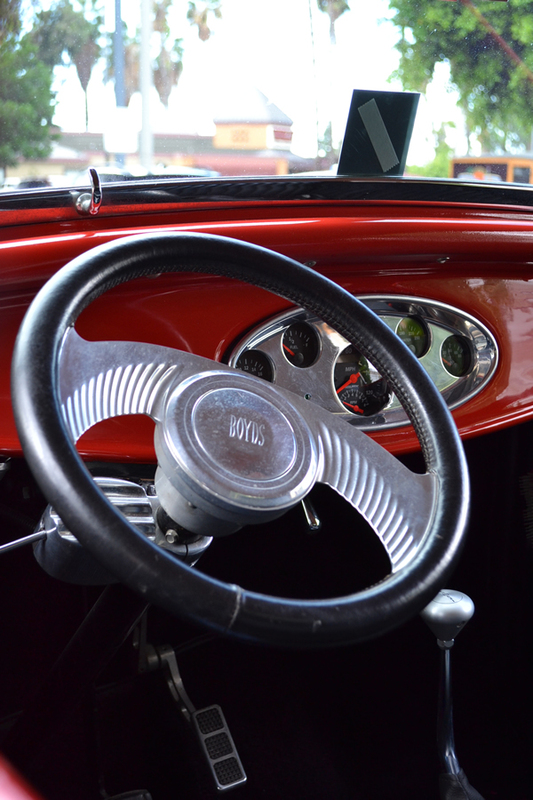 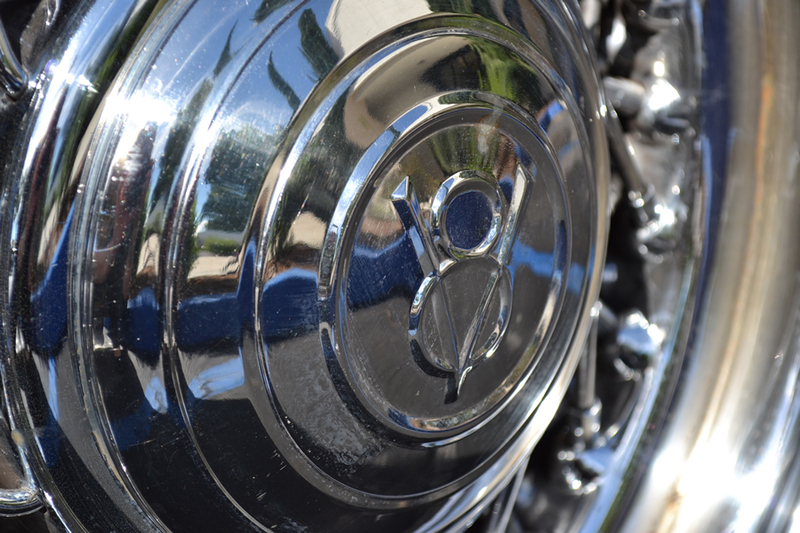 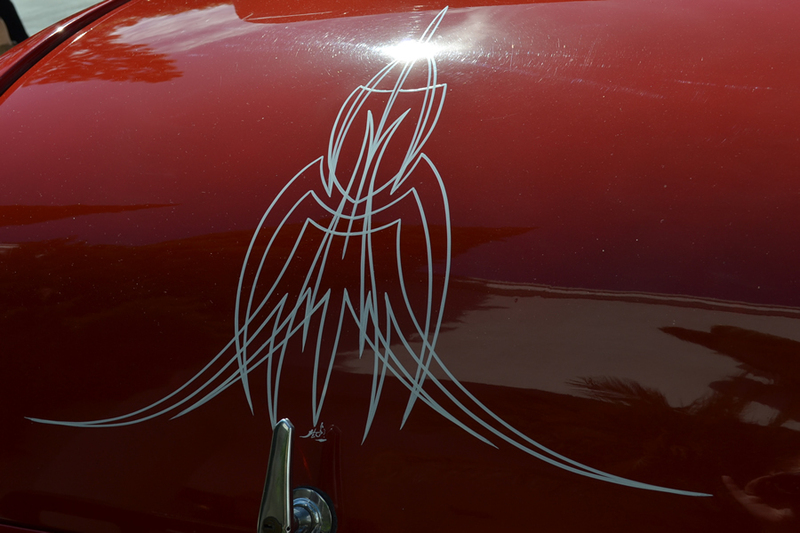 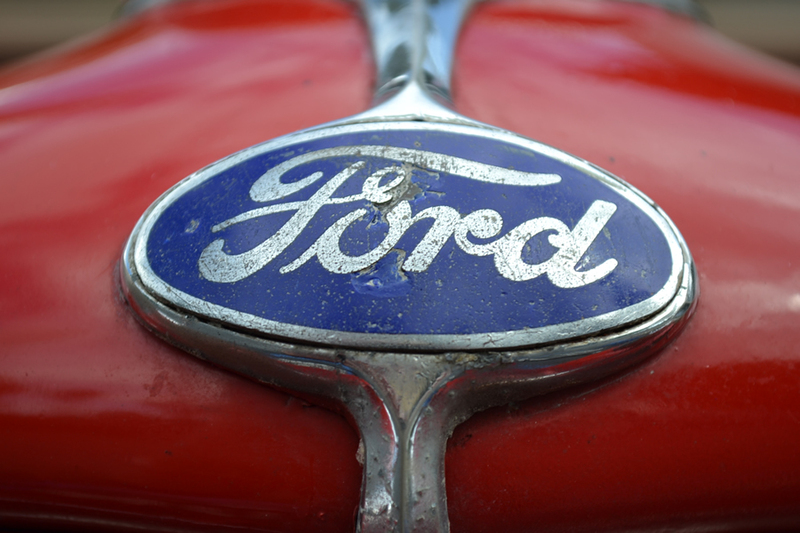 It’s easy to get lost in the history and charm of this car. 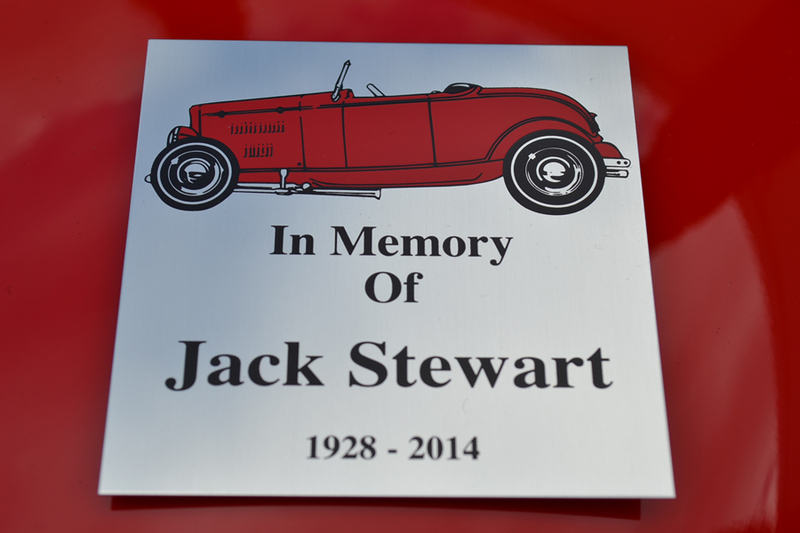 Jack, we’ll miss you more than you can know, but are happy that your roadster lives on to remind us of your wonderful life.